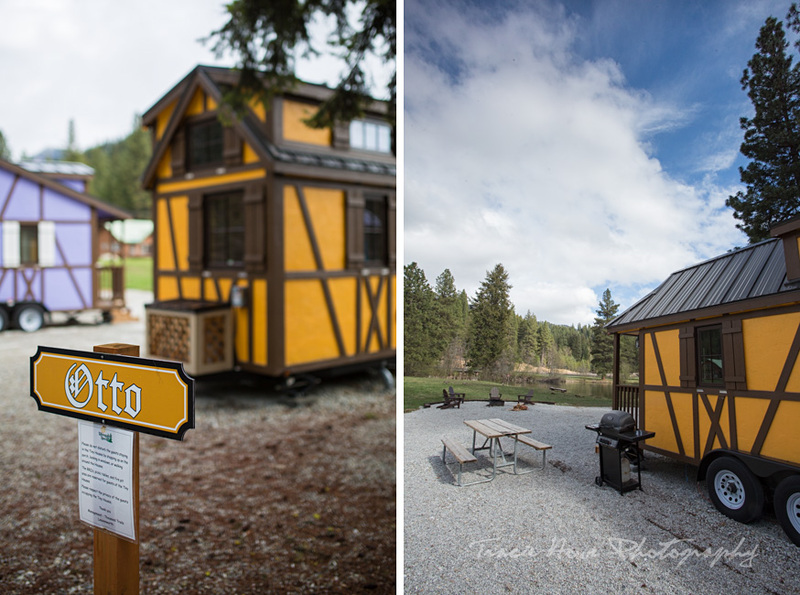 A weekend at the Leavenworth Tiny House Village | Tracie Travels The misadventures of a restless photographer. Travel photographer and travel blogger, Tracie Howe, wanders the globe seeking out new adventures and photo opportunities to blog about. Join her for a unique perspective on travel, travel photography, and travel tips. 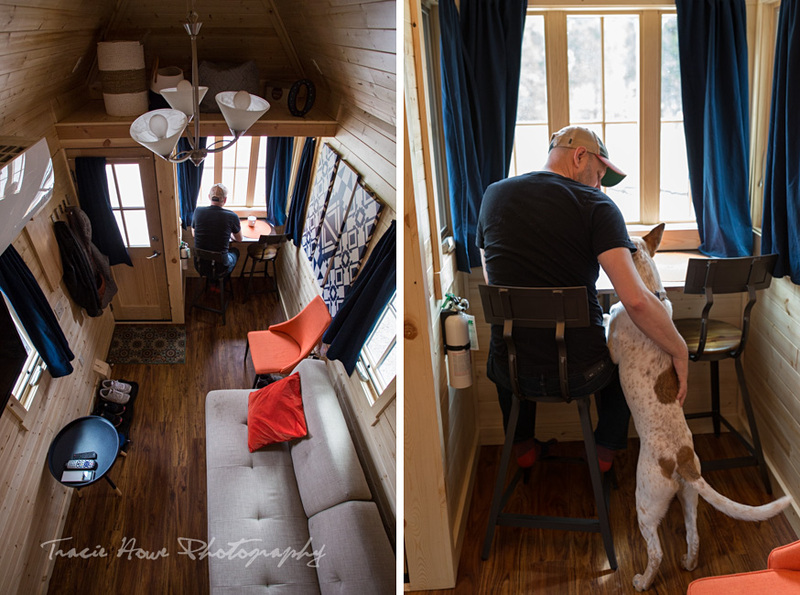 Dave and I took a weekend trip to the Leavenworth Tiny House Village. It truly was a tiny vacation in all aspects. 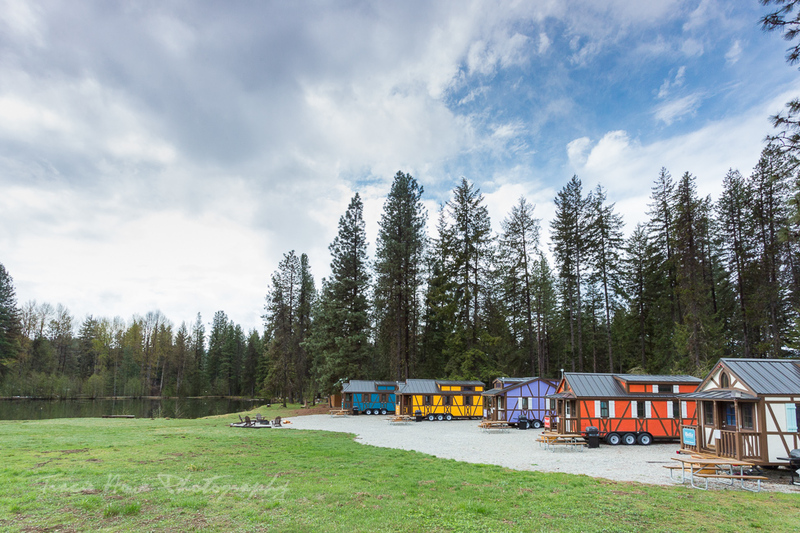 The drive from home was relatively short – just under 2 hours to the Tiny House Village in Leavenworth. We’d already been to the area many times, so there was no need to rush around seeing as much as possible during our limited time. We had our little dog with us, still a pup who tires out quickly, so we had to take things easy. And, of course, the tiny house village was a little slice of heaven, our home away from home for just a couple of days. 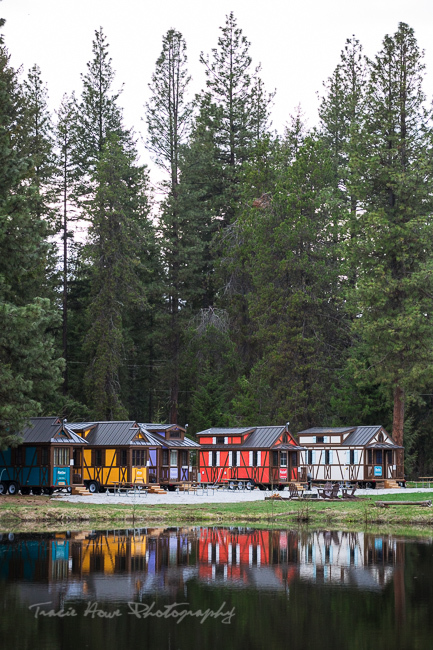 Petite Retreats offers unique accommodations around the United States, including many tiny houses like the ones in Leavenworth. I’ve actually stayed right next to their Mt. Hood Tiny House Village in a similarly tiny house (not affiliated with Petite Retreats), but that was the extent of my experience with tiny houses until recently. I was looking forward to actually staying inside one of theirs, at the Leavenworth Tiny House Village. Like the Mt. 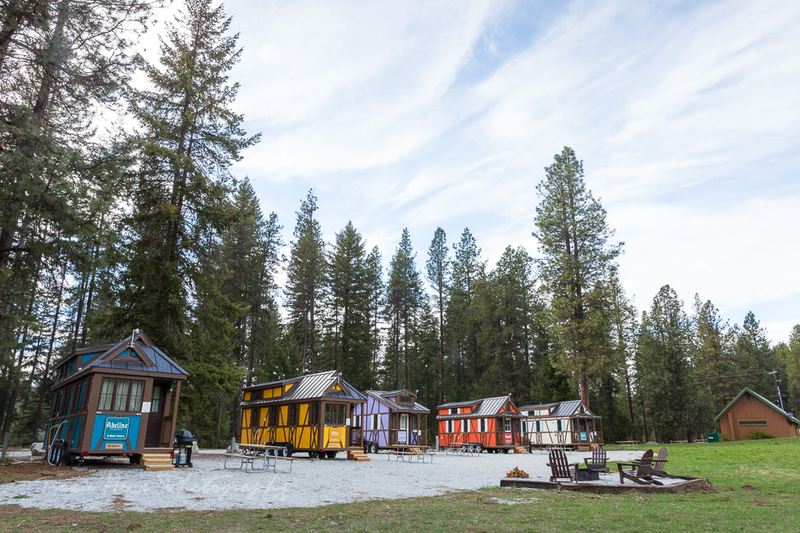 Hood Tiny House Village, the Leavenworth Tiny House Village is stationed inside a campground. In this case, the campground was Thousand Trails, one of the nicer campgrounds I’ve stayed at. It was well taken care of and had plenty of great amenities, including mini golf, a volleyball court, and a pool among other things. We enjoyed walking the grounds during the quiet shoulder season at the end of April. 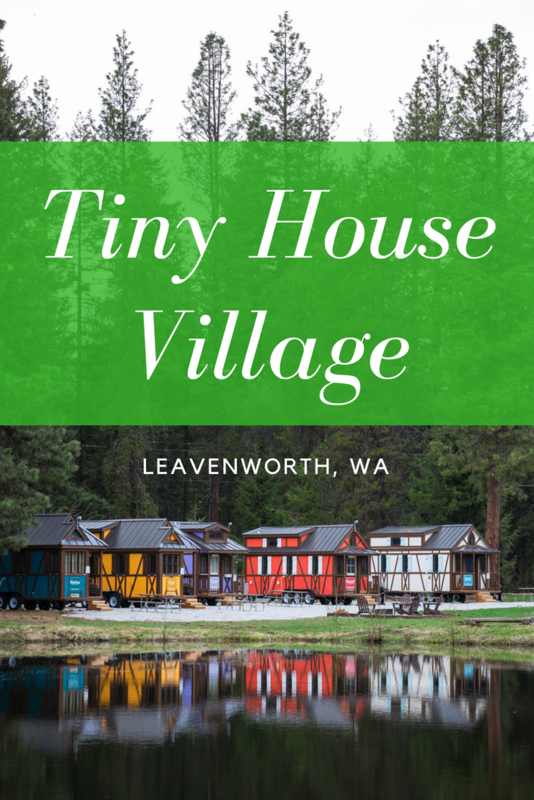 The Leavenworth Tiny House Village was as cute as can be, nestled between towering evergreen trees and an open field right next to a pretty pond. Tree covered hillsides surround this pretty valley of the Wenatchee National Forest, just outside of the community of Plain, Washington, and only 30 minutes from downtown Leavenworth. Seen throughout Leavenworth and the surrounding area, the Bavarian style of half-timbered framing and open wooden shutters translated perfectly to these mini versions of Bavarian homes. Even the font on the signs was consistent with the Bavarian theme that makes Leavenworth famous. 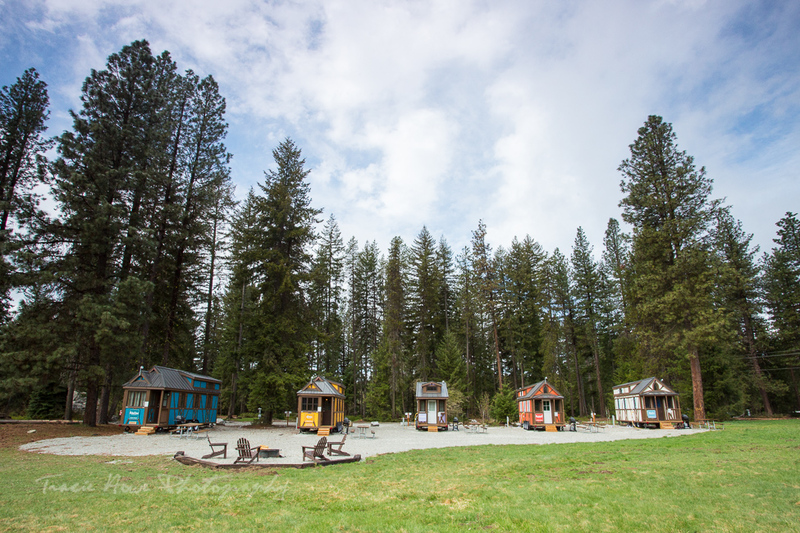 With the five brightly colored tiny houses lined up amidst the trees, the scene couldn’t have been more picturesque! 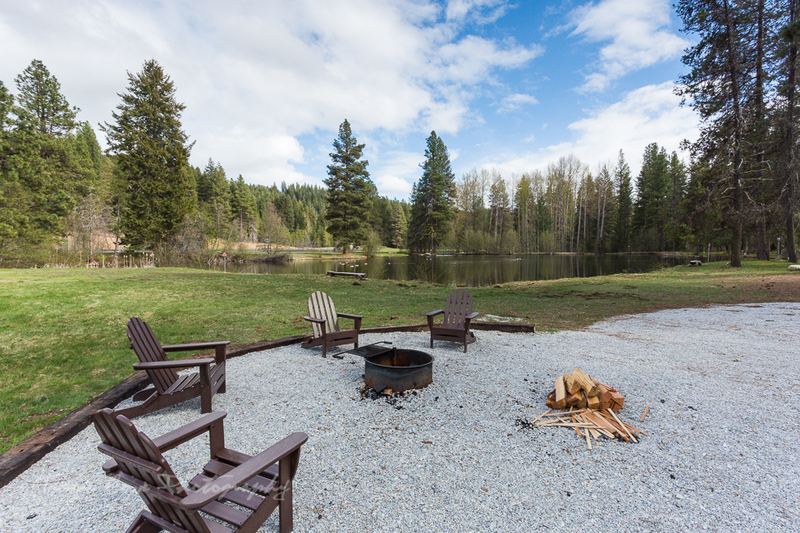 The common area provided easy access to the pond and a designated fire-pit, meant just for the tiny houses. Each house included it’s own parking space, a picnic table, and a grill. Dave being a grill master and me being a bit of a pyro, we took full advantage of all of our amenities! 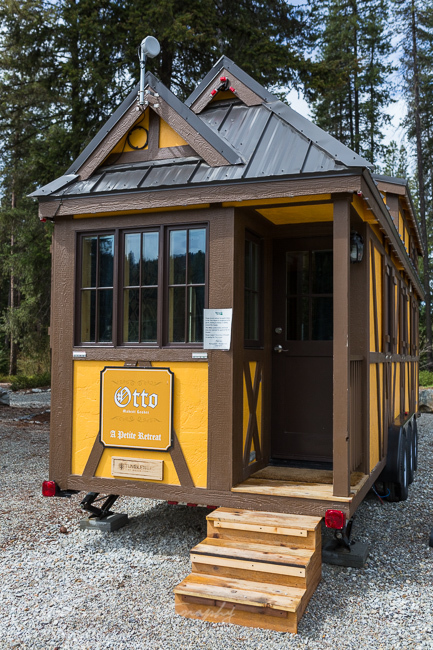 Our particular tiny house was given the name Otto, meaning Modest Leader. 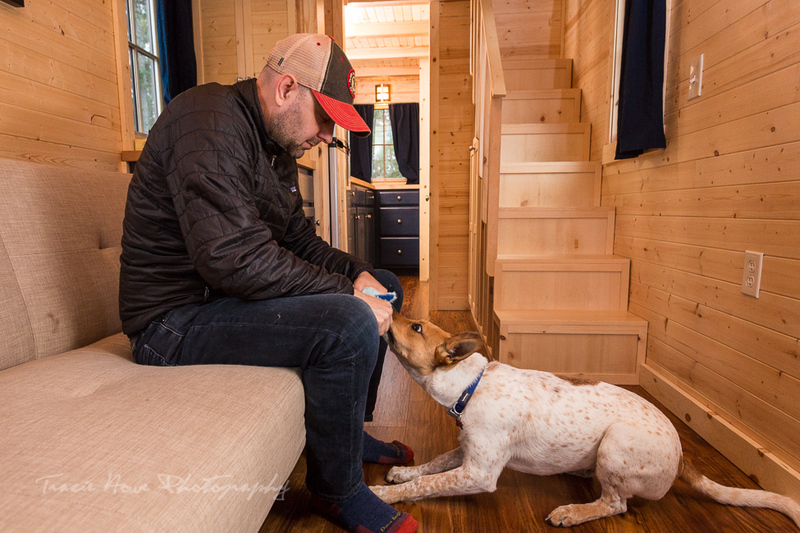 Otto was designated as the only dog-friendly tiny house, so we were excited to take Chex on his first trip when given the chance to stay there! He was confused at first about what was happening, but took to his temporary home quickly once he got comfortable. Even though these tiny houses are relatively new, Otto was still nicer inside than I would have expected for any home in the woods. The walls were tightly fitted to the ceiling and floor, with no obvious gaps or holes to the outside for little woodland buggies to crawl through. This was immediately obvious to me, someone who takes note of where the spiders might get through! 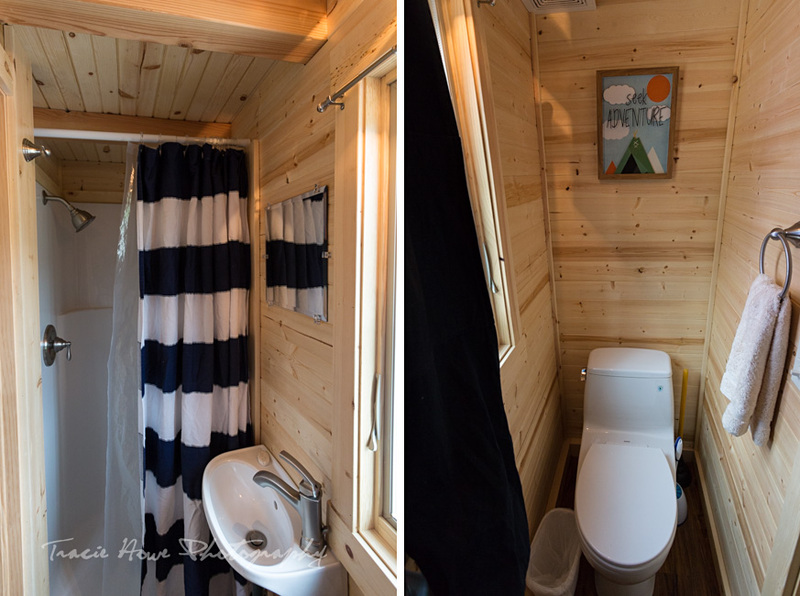 The structure was solid and cleverly designed, put together with an Ikea-like precision that most cabins lack. 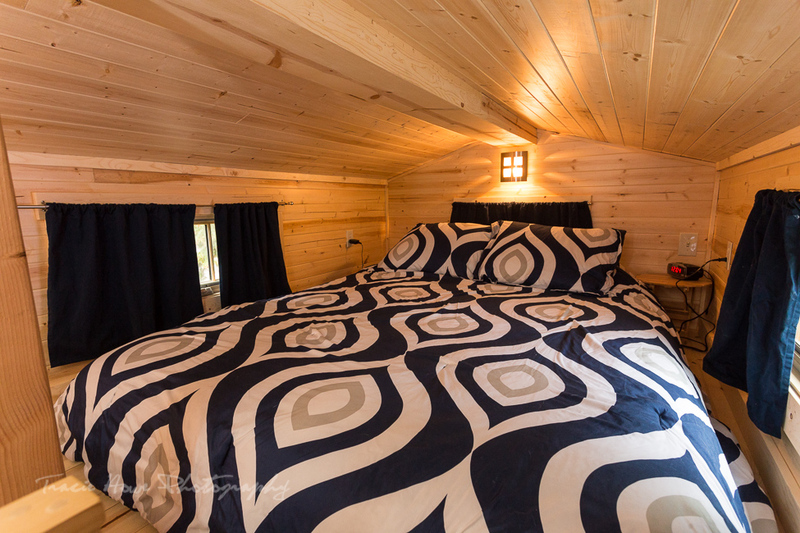 The walls and ceiling were a beautiful raw pine, which left the place with a lovely scent of fresh wood. The floor was a darker wood veneer, fitting in with the overall design, while suitable for heavy foot traffic… and doggy feet. I thought that the orange and navy blue decor was well chosen to compliment with all the warm wood. Inspirational decor that I wish I had in my own house! 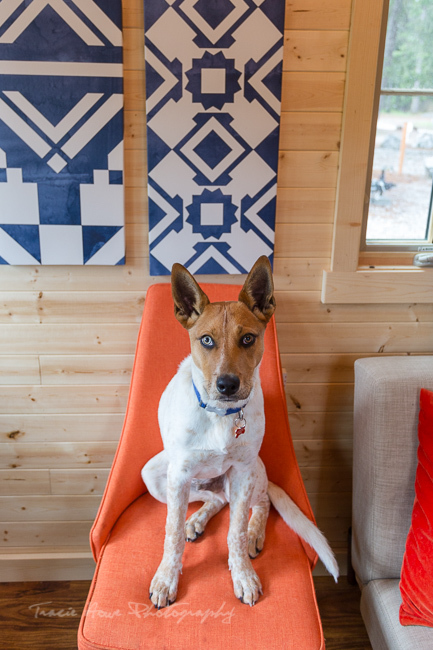 Chex was my pint-sized model for the small space, also fitting well with the color scheme. 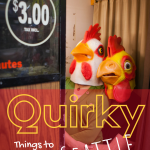 With trendy accommodations like tiny houses, sometimes there is so much focus on the look of the place, that other important things are forgotten. 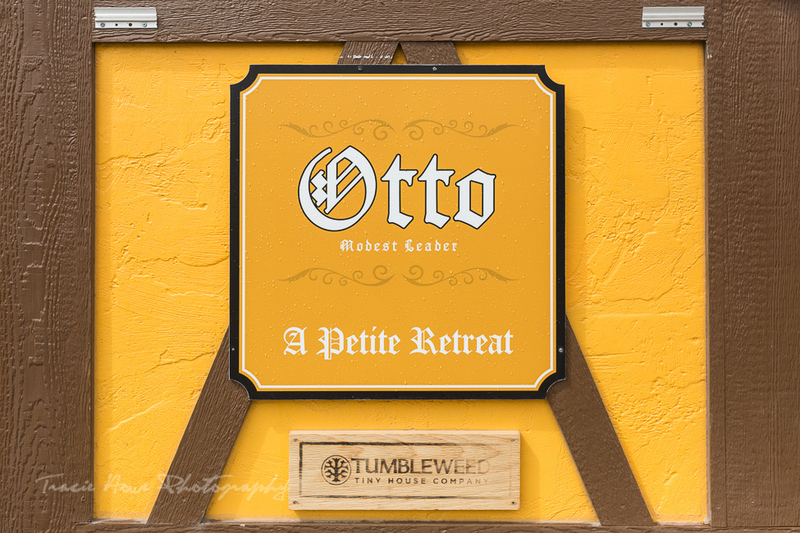 However, in Otto, it was clear that a lot of thought was given to those details, from the easy check-in process to the ultra-soft blankets. Plenty of screened windows were available to let in light and cool air, with the option to cover every single little window with a curtain. That’s important for someone who likes a dark sleeping environment! We had efficient heating and plenty of extra blankets, pillows, and towels. Hooks folded down from the wall to hang our jackets and a tiny table was set up next to the bed. 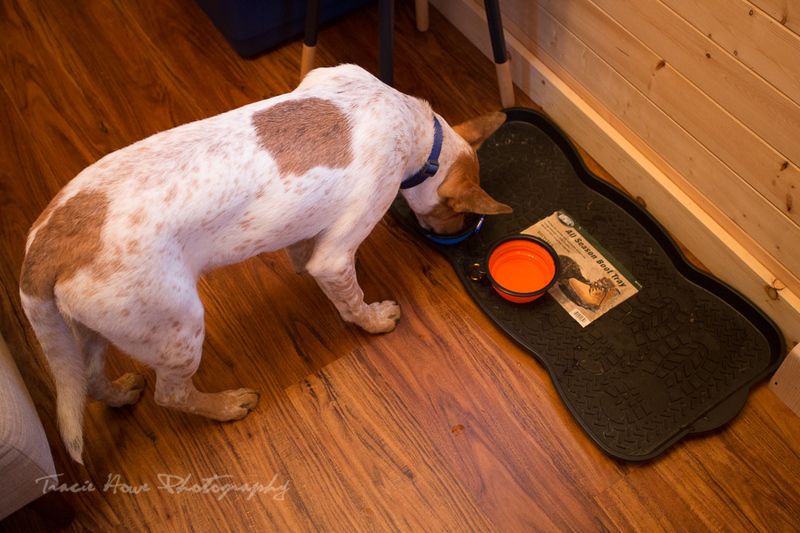 There was even a bone-shaped boot tray that I first thought was meant to be a place for dog food. We ended up using it for both our shoes and Chex’s food. :D All I could have asked for was stair treads for socked feet and clumsy paws. 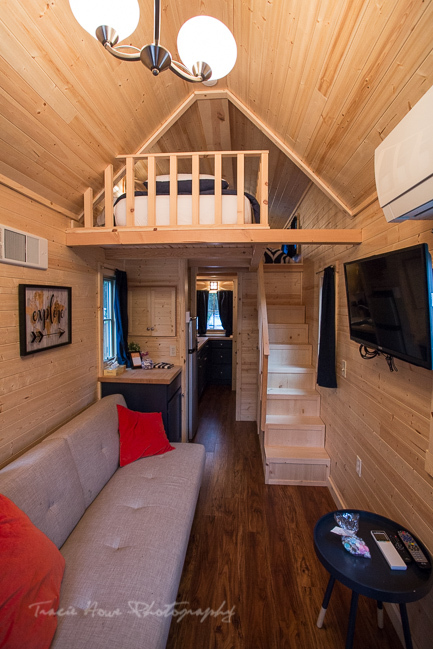 So, just how tiny is a tiny house? If you’ve ever been in a mobile home, you know that they can look very, um… mobile-homey inside to accommodate for the small space. 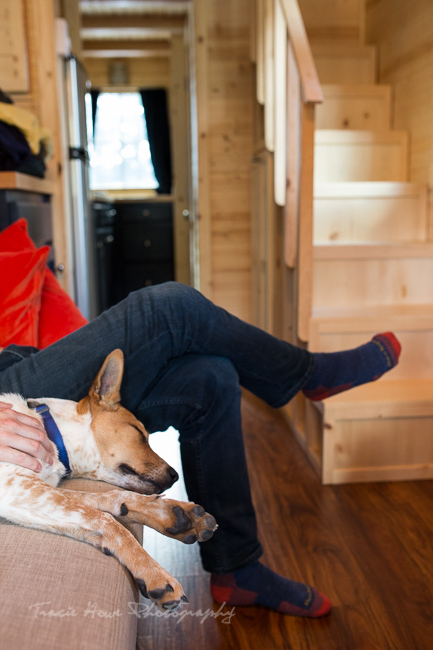 And while RVs and the like have their own kind of charm, tiny houses are very different. Technically they can be mobile, but they feel more like a little house, or in this case, a tiny cabin. With no concept of space in terms of numbers, it’s easier for me to explain how comfortable that space was for us. There was plenty of room for a game of fetch or tug, which is important to Chex. And, of course, little naps too. We had a well-equipped kitchen with a sink, stove, and decent sized refrigerator. There was a nook with table and stools for us to work on our laptops, eat, or have coffee while enjoying the view. The living area provided a tv hung on the wall, a little table, couch and chair. The bathroom allowed room for a comfortably sized shower (I’ve known smaller showers in my cruise ship days! ), a modern toilet, and a mini sink and mirror. 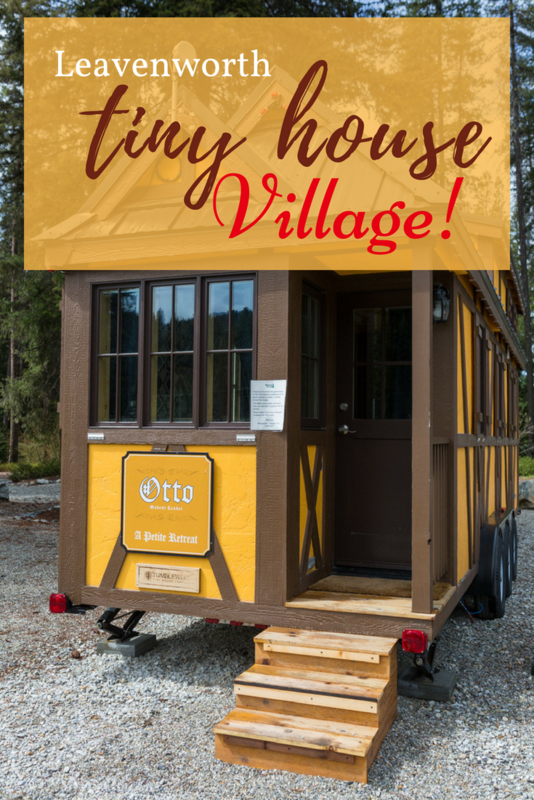 Our Tiny House Village was well located for us – a little off-the-beaten-path from the touristy bits of Leavenworth, but not so isolated that we couldn’t quickly grab a morning coffee or groceries for grilling. We visited the tiny cluster of businesses in the community of Plain to get everything we needed… and wanted. Plain Hardware offered excellent mochas, fun souvenirs, and more. The Old Mill Cafe next door provided us with breakfast each morning. And Just Plain Grocery on the other side had all the fixin’s for our dinner. 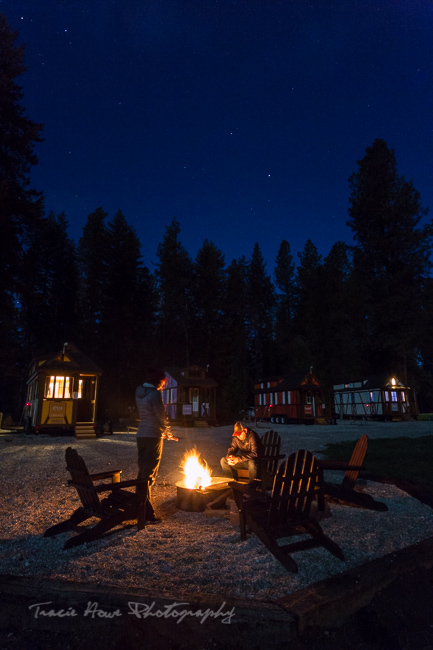 There are also plenty of outdoor activities in Leavenworth to keep you busy in any season. 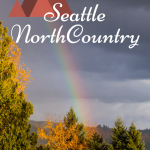 Fishing, tubing, rafting, and hiking during the warmer months. Snowshoeing, snowmobiling, sledding, and skiing in the winter. Nordic ski trails are plentiful, and it’s worth mentioning that Plain Valley Nordic Trails (run by Plain Hardware) offer trails that are directly accessible right outside of the Leavenworth Tiny House Village. Imagine beginning your cross country ski adventure from your front door! 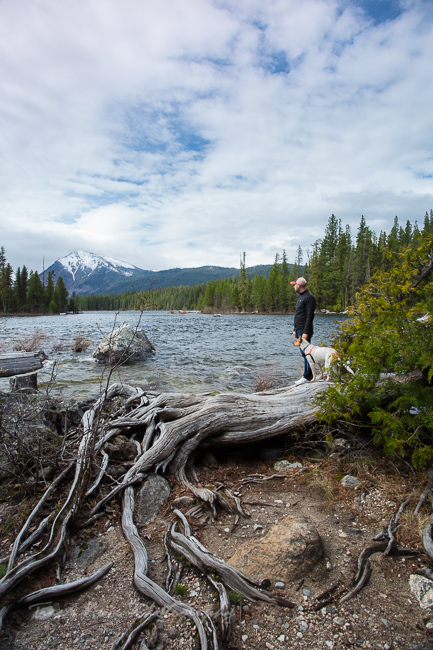 Lake Wenatchee State Park is also very close, so we decided to check that out since we had never been. This was a great place to explore while providing Chex with his daily exercise. We hiked a few easy trails through the woods on the south side of the lake before returning to the picturesque lake front for some photos. We ended that day with grilled steak and potatoes and a campfire back at the tiny house village. 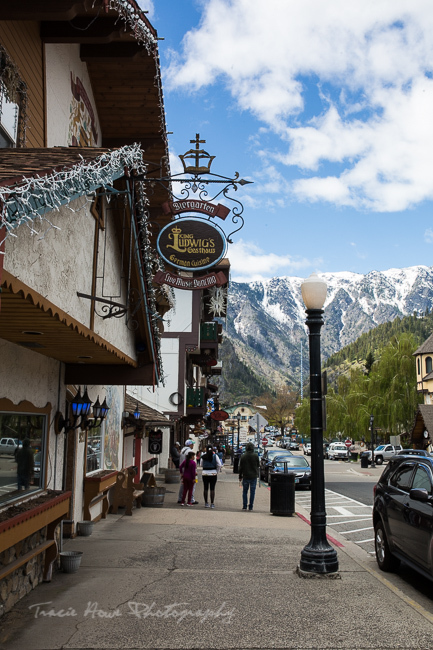 And of course, no visit to the area is complete without at least stopping in at downtown Leavenworth. Since we had been many times before, we decided to take a short stroll down the main streets to see if there were any new shops or places to pop in. We also took Chex for a walk along the pretty Waterfront Park which was just starting to show some spring color. We discovered that several restaurants in Leavenworth offered dog-friendly outdoor seating, so we stopped for lunch at Ducks and Drakes before making our way back home. 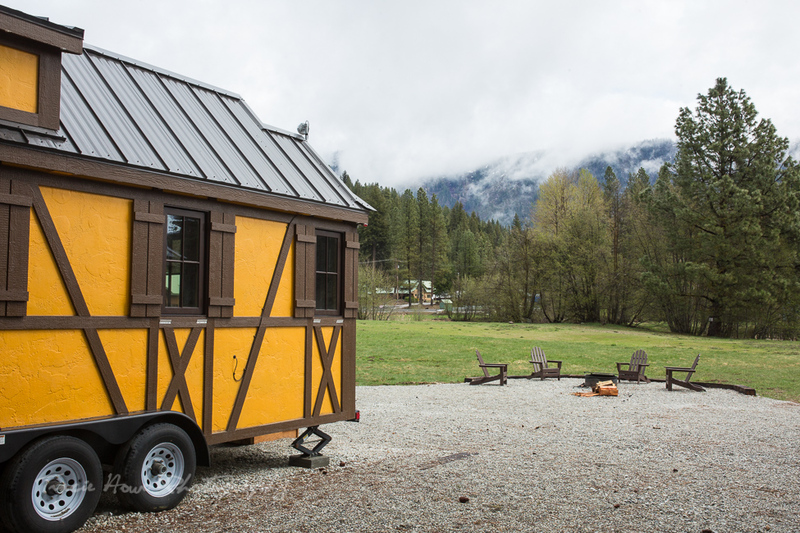 The Leavenworth Tiny House Village provided an idyllic mini vacation for us. In the mountains, amongst the trees, in cute Bavarian-inspired Leavenworth, our tiny house gave us a unique experience with huge amounts of charm. I would be delighted to stay there again! Ryan Biddulph - Awesome Tracie! Love these little homes. Reminds me of Hobbit style digs like here in New Zealand LOL. We are staying in a little house now on a farm. Technically not a tiny house but similar design elements. I need little space-wise to be happy. Rob - I would love to try out a tiny house for a long weekend, this tiny house village looks fantastic very cute with the Bavarian styling, and so much to do in the area. I wish I had known about this before we left southern BC it would have made a fantastic road trip.